For years, most of the talk in the renewables sector has been around solar, wind, nuclear, hydro and bio-fuels. 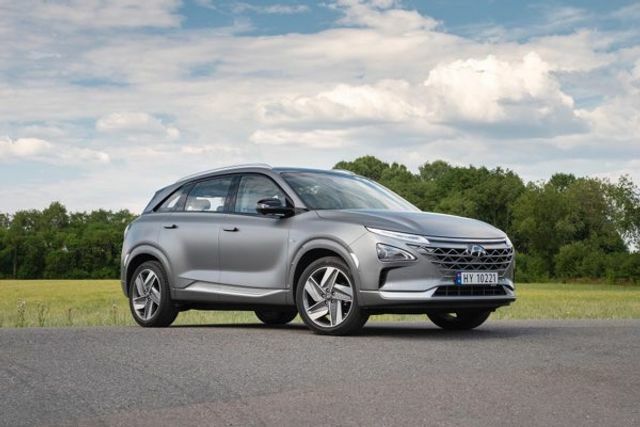 But now hydrogen is making a play to return to the mainstream - Hyundai recently released its Nexo range, powered by a hydrogen fuel cell. With a 414 mile range, low refueling costs and 0 carbon emission (generally speaking, hydrogen powered cars' only byproduct is water) there are statistics that even Tesla cannot compete with. However, this particular car also comes with a new innovative feature - as part of the hydrogen combustion process it ‘cleans’ the air that passes through its engine, making it safer for humans to breathe. This brings it into an entirely different category of geoengineering, in terms of being a deliberate effort to counteract global warming, in addition to the aforementioned benefits. That's not to say that it is an instant panacea - concerns still remain around molecular stability/flammability, small amounts of nitrogen oxide in the byproduct and availability of charging stations - but with more large manufacturers placing their faith in the technology, we could start to see a real shift in the sector in months and years to come. If 10,000 [Hyundai] Nexos were on the road it would reduce the carbon reduction effect equivalent to planting 60,000 trees. Will the refueling stations be compatible with other #hydrogen cars and trucks? Like the @toyota_europe #mirai #miraiand @Hyundai_Global #nexo if so, it will boost the overall transition to hydrogen massively.